Whether you're planning to build a new house or you're looking for designs to build your investment project, we have the plans. With an extensive selection of duplex, triplex and multi-family apartment plans to choose from, as well as single-family home plans, you are sure to find a design that suits your needs and budget. Or, contact us about modifiying any plan on our site. We can provide most modifications at no extra charge. And as always....free standard shipping on all orders! More featured floor plans and designs can be found below. Or, use links from the menu above to narrow your search to a particular type of plan. 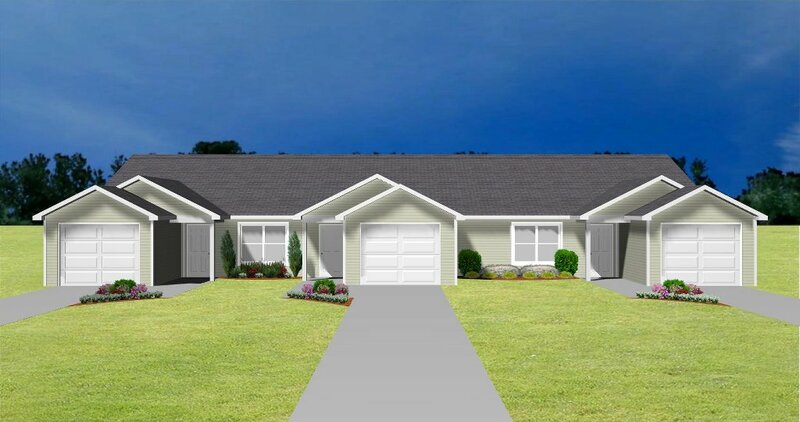 Also see best-selling duplex house plans and apartment plans. Do you need plans for a duplex or small apartment? Apartments and duplexes are growing in popularity as investment properties to provide future income. We offer many designs with efficient construction to help you get the most from your investment property. With everything from 1 bedroom to 4 bedrooms per unit, you are sure to find a design that suits your needs.